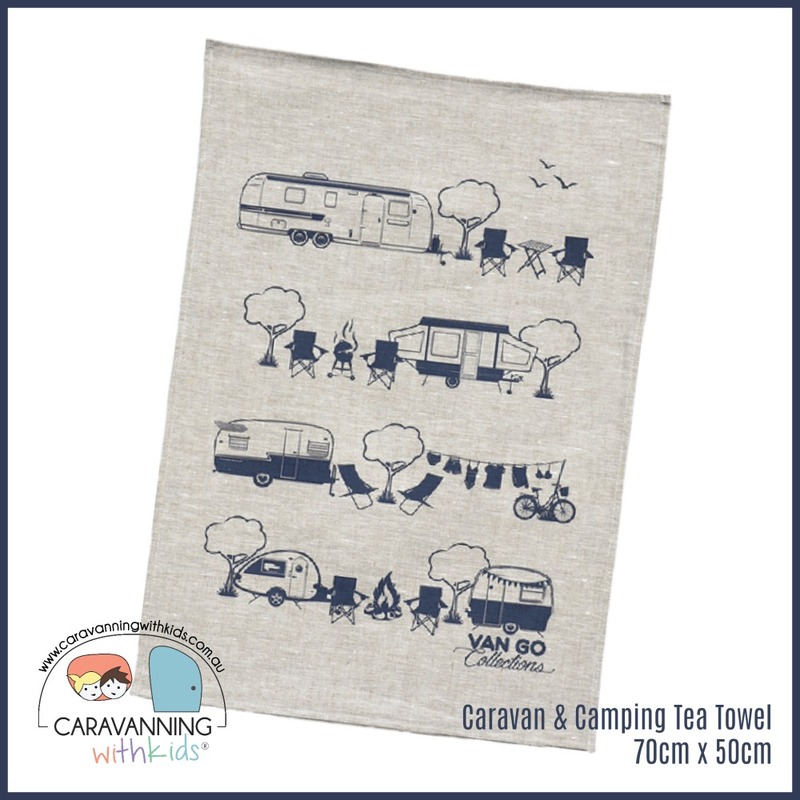 This very cool Caravan & Camping inspired tea towel is gorgeous! 100 % Linen Tea Towel featuring Caravans, printed and designed in Australia. Size 70 cm x 50 cm.